HomeBlog PostWhat do you do when loved ones do not support your financial plans? What do you do when loved ones do not support your financial plans? As per title, what do you do when one of your loved ones does not support your financial plans? Recently I have been researching on entrepreneurship, which I will explain the reason in detail in the forthcoming write-up, and received two requests for partnership on startups via two different socializing platforms. Without detailing the actual companies, I believe there are definitely potential in both the startups. And as an added bonus, they are not asking for my investment- they are looking for someone with my skill sets. So why not? 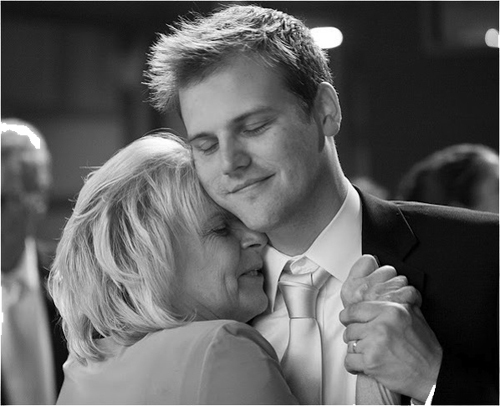 Thinking about it seriously as one of my life’s life changing moments, I approached my mum for advice and her views. It was then I came to realise the reason why my dad has yet to fully succeed in his many endeavours(two local partnership startups, multiple investment techniques, etc) despite having so much knowledge, experience and skills in both financial management and entrepreneurship. I had never thought about how it felt when I am in my dad’s shoes till today. Back to it, basically after telling her that I have the interest in joining the potential partnerships, she lectured me. However on the other hand, only when I look from my mum’s perspective of an overly conservative money manager and just being straight-forward as she usually is, I can let it off my heart. But never totally. So now the question to my readers as I really want to learn from your experience(if any) and know your views on this. Who is right and who is wrong? Should one listen to his loved ones and give up on his life goal, or should he stick with it and ignore advice from them? It’s either you dream big, or nothing! Glad to have you here in my blog and comment! Thank you for sharing the article, it’s a long read! I had known that there is nothing for me to forgive but I just didn’t know why. Now that I read this interview passage, I understood fully. My mum indeed has some awful past when it comes to mutual fund investments and company partnerships. She now exclusively does not trust any outsider to manage her money. My investing is like keeping mistress outside. I have to dispose all evidences into HDB bin. OpenID account or some sort is good way to minimize spam comments and also make it easier to comment for the regulars. I thought most readers like it. One time time effort and then it is easier to comment from there onwards. Haha! That is a very good way to describe it! However I am a person who really needs moral support and a great push to work towards my destination. Reading here I guess you know there’s a gap between who you want to be and who you are (today)…. I am cheering you on! It’s part of the growing up and discovering process as we pass through different life stages. Some discover who they are early; some much later in life. Thanks alot for your sharing of your experience and view! Dreaming is one thing, but taking action is another! I should really get to it now and take real action to reach my goals; I would never know if I never try. Even if I did not manage to reach my ultimate goal towards the moon, I would still land among the stars right? That is the scenario I will then ask for forgiveness..
You are right. I am still unsure of who I am today although I know who I want to be. Maybe because it’s my lack of life experiences, or little general knowledge, or even fickle mindset. Thank you again for having my back, I really appreciate your encouragement. And I hope to discover who I really am soon! I SAY GO FOR THE START-UP JOBS! Seriously, throw caution to the wind, what is the worst that could happen? Firms like the big-4 are always hiring so you could always fall back on that. Thanks for sharing your take on this! “What is the worst that could happen?” This is what one of my successful friend always say to me whenever I hesitate on a decision! This is a great reminder for me to not be hesitant and to go for whatever I feel right! And having something to fall back on is always be a great contingency plan by itself. I have been on four different career paths since graduation. Sure, my resume may look haphazard, but I had followed what I wanted to do, and I had gained friends and unexpected wisdom along the way. If it works out, you gain success. If it doesn’t, you gain experience. Just don’t lug around a big sack of regrets when you are old. I sincerely envy your experiences and your fortitude in following really what you want to do. I believe those wisdom and experiences are definitely worth the results regardless. I appreciate the sharing of your wisdom- I really hope I will take some action soon and not lug a big sack of regrets in future! Great to have you here sharing your view on this! To be successful is to be defeated by bigger and bigger things in life. But it’s not going to be easy of course. In fact, it’s downright lonely and a journey full of doubts. Last couple of years I also tried to do a business but it didn’t work out well. Didn’t lose a lot of money but learn a ton of lessons, that are immediately applicable to my job. True, it didn’t work out well, but I learned that I really really like what I’m doing. It’s only when you’re being tested that you know what you want. It’s funny, we have to go around the whole world to realise our home is where we are right now. But that’s the journey of an independent person – one who seeks his own path and discovers his life by adventuring. Go with both eyes open, and both ears open! That is what I call real dedication and courage to take action on what you really want to do! I sincerely appreciate your share of your personal story and I guess I am more or less facing the same dilemma that you had. I had to be lonely and feeling empty with doubts everywhere.. However seeing you taking those confident strides towards your passion without regrets, you seemed to have made the right choice! It is a process of discovering yourself, your inner strengths, your weaknesses. To know who you really are, are you cut out for entrepreneurship, or an employee? What are you really good at, and how can you grow as a person, as a business owner, or as an employee? This is your journey to discover and find out more as long as you have done your due diligence. All parents love their children, but the advice may or may not always be the best, esp. if they have encounter past failures or negativity and continued with that belief, and of course they would not want their off springs and loved ones to encounter similar results, or may also have the same negative results. If you believe you have done all the necessary checks and balance, then you go with your plans and find out the results. Thank you for your valuable input for this post. Whether I am cut out for entrepreneurship or an employee, I can only say that I definitely choose being an entrepreneur compared to being an employee. I do not just working under anyone, in fact, I love to work for/with people. I just need these people to appreciate my work as it provides me a big sense of accomplishment and respect of my hard work to push me on working the next project. Thanks for your words of wisdom. What you said is definitely true as my mum did experienced some negative encounters in the past. But if I never try, I will never be able to prove to her that her thinking is flawed. One might have the best idea and even a business plan that could be the next big thing- to save lives, to create jobs for his nation, to make his nation proud. But if he does not take action, things won’t just happen. Therefore I will be sure to do my necessary due diligence, take a deep breath, and a step forward. By the way, great quotes and analysis you have got there on your site! Will be sure to look around more there. Yes, it is a process of discovering and finding your passion and right business based on your profile. As long as you continuously take action, and be discipline, and find a good mentor to give good advice and directions in your business, you should be able to succeed in whatever you do. Normally, one’s negatives encounters and failures are used as experience to prevent the next generation or off springs from following in the same steps. But with the right mentor and people, and good business strategy, there is no reason that you will fail, so do give it a go! Do visit my site back! Thanks for your appreciation and comment. This is a paid theme I got my hands on but I have also made several changes to it. I have seen your article too. Great writing, keep it up too! you do when loved ones do not support your financial plans? would like to keep up with anything fresh you have to post. An attention-grabbing dialogue is price comment. I think that you must write extra on this subject, it might not be a taboo subject however typically persons are not enough to speak on such topics. I guess so. I will be writing extra on the entrepreneurship part soon. Do follow my blog and get notified when I post it up! I try to share in the most neutral way I can making sure it is not one sided! And I encourage my readers to give share too! Hope to see you around soon. Heya are using WordPress for your blog platform? I’m new to the blog world but I’m trying to get started and create my own. Thanks for the comment! Yes I am using WordPress Blog Platform. With WordPress, you do not really need any coding experience at all. Those experience could allow you to further customise your blog though! Good luck with your site! It is the best time to make some plans for the future and it is time to be happy. I’ve learn this submit and if I could I wish to counsel you some fascinating things or tips. Maybe you could write subsequent articles relating to this article. Hi there, I discovered your site by way of Google even as searching ‘personal finance articles for high school students’ a comparable matter, your site came up, it looks good and informative. I have bookmarked it in my google bookmarks. I will appreciate for those who continue this in future. Numerous other folks will likely be benefited from your writing.